We hope you're prepared for another full weekend of sneaker releases, as this lineup is one of the craziest we've seen all month long. 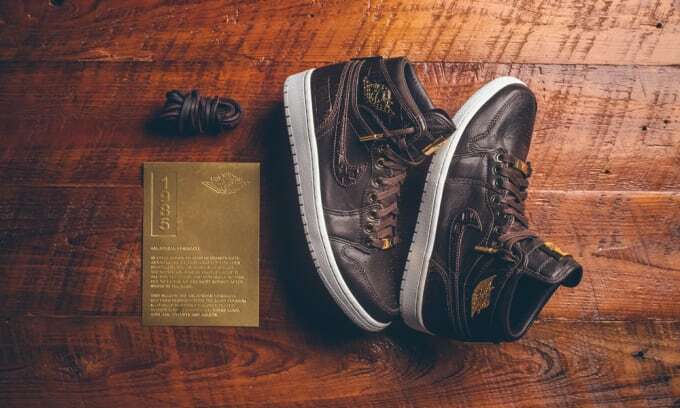 Following the last week's delayed-then-released "Three Peat" VIII launch, Jordan Brand will turn its attention back to the Jordan 1 Pinnacle series with what could be the most premium drop yet. It'll be a busy weekend for NikeLab, too, as it's set to launch the latest Gyakusou running collection with Undercover and will also release the "Marty McFly" Bruin. Nike Sportswear has a "Day of the Dead" QS in the works, and there's also three new colorways for Nike Basketball's flagship models. Elsewhere, it'll be a collab-heavy Halloween with releases from Frank the Butcher x Puma, ALIFE x ASICS, The North Face x Vans, Highs and Lows x ASICS, Overkill x adidas, and Sneaker Politics x Saucony. Read up on everything you need to know with A Complete Guide to This Weekend's Sneaker Releases.